1.1 There were no significant hotspot activities observed in the region in the second half of October 2018. 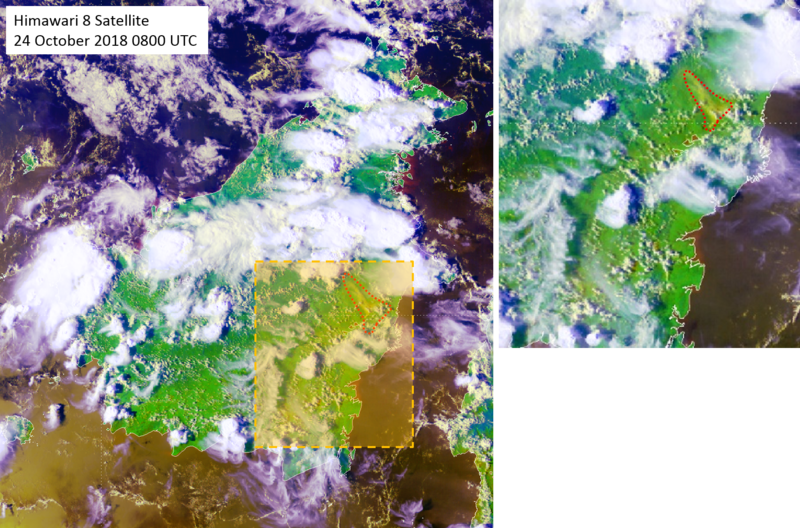 While rainy weather due to the monsoon rainband helped to keep hotspot activities in the southern ASEAN region generally subdued, there were some isolated hotspots with localized smoke plumes observed in Sumatra and Kalimantan. In the northern ASEAN region, isolated hotspot activities began to emerge towards the end of the fortnight due to the dry conditions prevailing over the region. 1.2 Figures 1 show satellite image over the ASEAN region in the second fortnight of October 2018.